What are the causes of war? How might the world be made more peaceful? 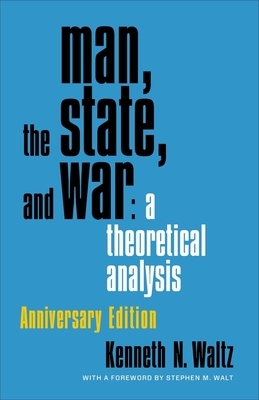 In this landmark work of international relations theory, first published in 1959, the eminent realist scholar Kenneth N. Waltz offers a foundational analysis of the nature of conflict between states. He explores works by both classic political philosophers, such as St. Augustine, Hobbes, Kant, and Rousseau, and modern psychologists and anthropologists to discover ideas intended to explain war among states and related prescriptions for peace. Waltz influentially distinguishes among three "images" of the origins of war: those that blame individual leaders or human nature, those rooted in states' internal composition, and those concerning the structure of the international system. With a foreword by Stephen M. Walt on the legacy and continued relevance of Waltz's work, this anniversary edition brings new life to a perennial international relations classic.